It was a privileged to see the children respond to Operation Shoe-box’s appeal for Christmas shoe-boxes for those who may not otherwise receive a Christmas present. 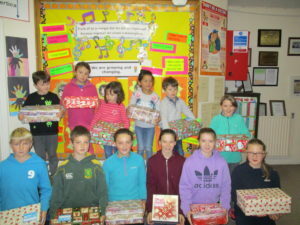 Many of the children put together a shoe-box filled with practical items as well as some goodies and treats. Well done everyone!